MORE than 113 million people across 53 countries experienced acute hunger last year, with conflict, climate-related disasters and economic turbulence mainly driving the food insecurity crisis, according to a new joint UN and European Union (EU) report. The Food and Agriculture Organization (FAO), World Food Programme (WFP) and EU ‘Global Report on Food Crises 2019’, shows that the number going chronically-hungry has remained well over 100 million over the past three years, with the number of countries affected, rising. The report said that more than 113 million people across 53 countries experienced acute hunger requiring urgent food, nutrition and livelihoods assistance. The worst food crises in 2018 were, in order of severity, Yemen, the Democratic Republic of the Congo, Afghanistan, Ethiopia, Syria, the Sudan, South Sudan and northern Nigeria. These eight countries accounted for two thirds of the total number of people facing acute food insecurity – amounting to nearly 72 million people. It said that although there were 11 million fewer people believed to be in food crisis in 2018 compared with 2017, in 17 countries, acute hunger either remained the same or increased. Moreover, an additional 143 million people in another 42 countries are just one step away from acute hunger. Living in “stressed conditions”, these people are at the cusp of acute hunger and they risked slipping into crisis or worse if faced with a shock or stressor, it said. Climate and natural disasters pushed another 29 million people into acute food insecurity in 2018, says the report, and that number excludes 13 countries - including North Korea and Venezuela - because of data gaps. “It is clear from the Global Report that despite a slight drop in 2018 in the number of people experiencing acute food insecurity - the most extreme form of hunger - the figure is still far too high,” FAO Director-General José Graziano da Silva said. Conflict and insecurity, climate shocks and economic turbulence – the main drivers of food insecurity – continued to erode livelihoods and destroy lives. Conflict and insecurity remained the key driver of acute hunger and food insecurity in 2018. Some 74 million people – two-thirds – of those facing acute hunger were located in 21 countries and territories affected by conflict or insecurity. Around 33 million of these people were in 10 countries in Africa; over 27 million in seven countries in Western Asia/Middle East; 13 million in three countries in South/South-east Asia and 1.1 million in Eastern Europe. Climate and natural disasters pushed another 29 million people into situations of acute food insecurity in 2018. As in previous years, most of these individuals were in Africa, where nearly 23 million people in 20 countries were acutely food insecure primarily due to climate shocks. Economic shocks were the primary driver of acute food insecurity for 10.2 million people, mainly in Burundi, the Sudan and Zimbabwe. Further, high-levels of acute and chronic malnutrition in children living in emergency conditions remained of grave concern. 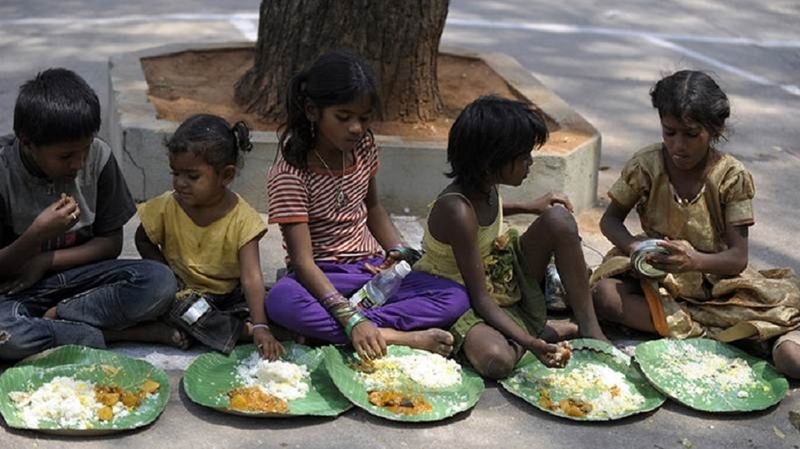 The immediate drivers of undernutrition include poor dietary intake and disease. Mothers and caregivers often face challenges in providing children with the key micronutrients they need at critical growth periods in food crises, it said. This is reflected in the dismally low number of children consuming a minimum acceptable diet in most of the countries profiled in the report.